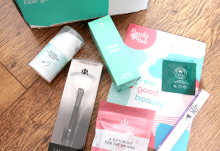 Little Known Box is a luxury beauty subscription box that curates a monthly selection of some of the very best products from a vast range of upcoming, independent and niche brands. 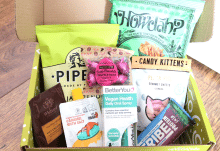 They prioritise featuring ethical brands in the boxes so you can expect to receive exciting beauty products which are cruelty-free, organic, vegan, natural and/or free-from which definitely appeals to me! 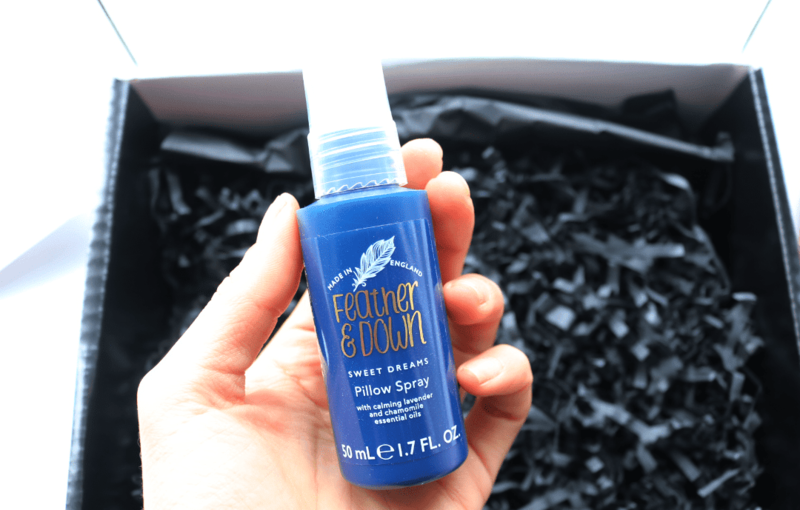 I have a lot of problems getting to sleep so I was excited to see this Sweet Dreams Pillow Spray from a brand called Feather & Down. It features an infusion of Lavender and Chamomile essential oils, both of which have been proven to have a calming and relaxing effect on the mind, as well as helping to relieve stress. I can’t wait to try this! 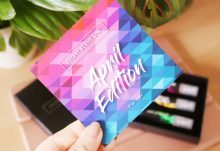 Sheet masks are a great way to relax and pamper yourself, and this one from BeautyPro gets to work in just 15 minutes so it’s perfect for those who are busy or short of time. 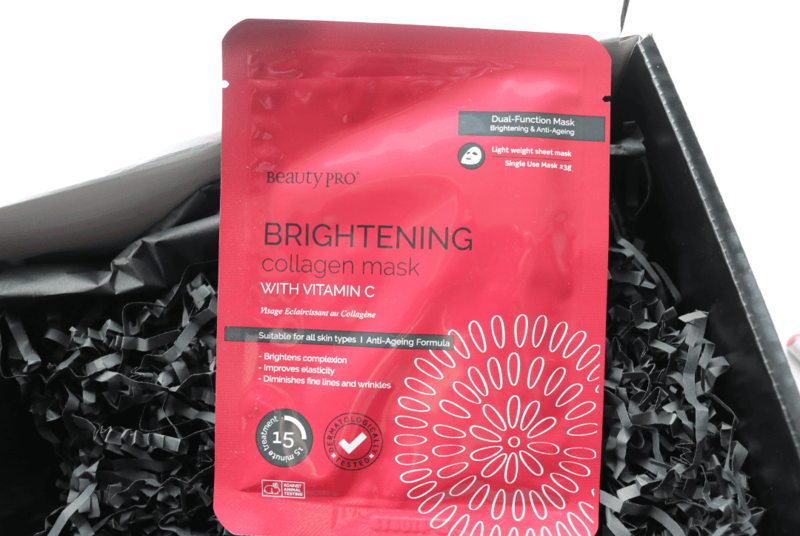 Suitable for all skin types to use, this Brightening Collagen Mask contains Vitamin C to help improve skin tone, whilst the anti-ageing formula tackles fine lines, wrinkles and sun damage. It’s just as important (if not more so) to look at what you put into your body, as well as what goes on the outside, and many experts agree that taking a multivitamin can help you meet your daily needs. 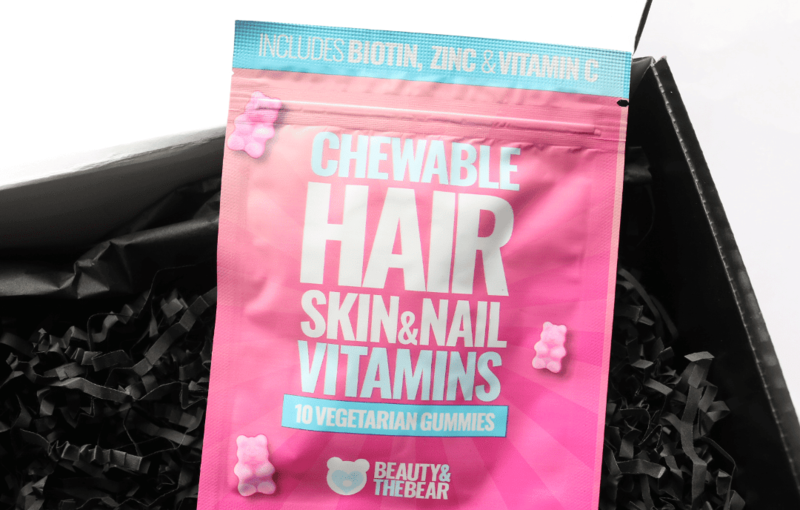 These Beauty & The Bear gummies are not only adorable (they’re shaped like little bears! ), but they taste delicious and are packed full of Biotin, Selenium, Zinc and Pantothenic Acid to help your hair and nails grow, and your skin to glow! I was thrilled to find some organic makeup in the box and this Organic Lip Pencil from PHB Ethical Beauty comes in the most beautiful and flattering peach shade! Richly pigmented, it offers long-lasting colour and is made from only natural and organic ingredients, with no nasties. Suitable for vegans and those who have sensitive skin. 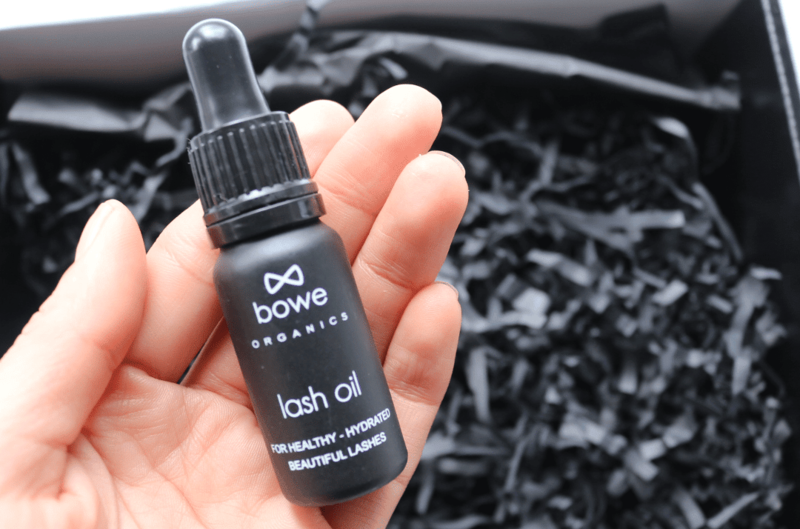 Worth £19.99 on its own, this full-size bottle of Lash Oil from Bowe Organics is your secret beauty weapon for long and luscious lashes! It contains Castor Oil which helps to thicken and lengthen lashes, whilst the powerful antioxidant Vitamin E has also been added to provide further strength and protection. It’s cruelty-free and suitable for vegans to use which is great to see. 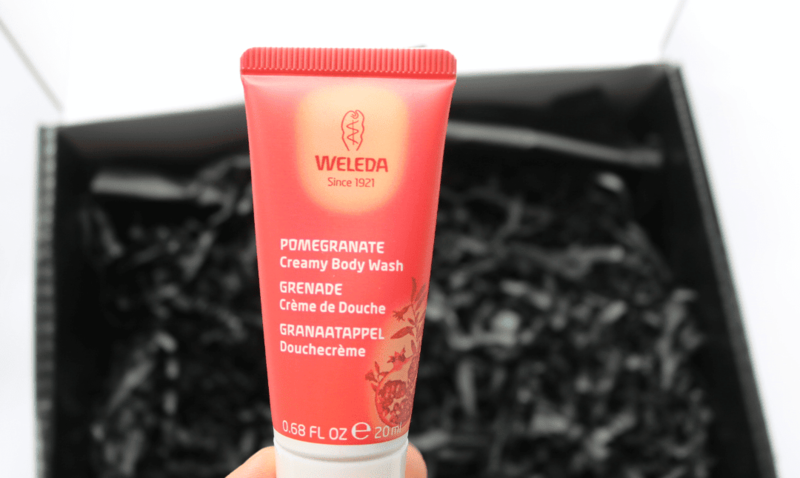 I’m a huge fan of the natural beauty brand Weleda and absolutely love this Pomegranate Creamy Body Wash (I actually have a full-size of this currently in my bathroom!). It smells incredible and the creamy formula is perfect for my dry and sensitive skin. It has lots of organic and natural plant-based oils so it leaves your skin feeling as soft as a baby’s bum! 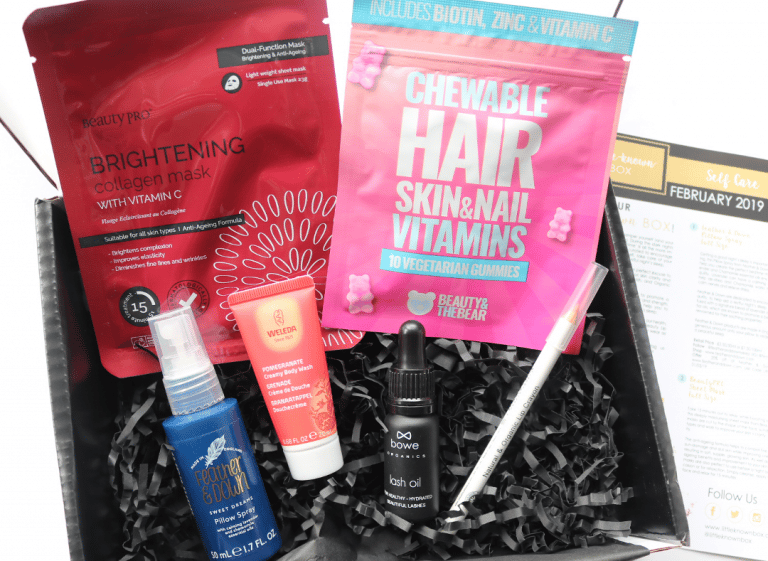 If you enjoy discovering new products from independent luxury brands, Little Known Box is the beauty box for you! How would you rate Little-Known Box ?